Below you will find commonly asked questions and answers on our consignment process. If you still have questions, please contact us. I am interested in consigning, what do I do? What is the lead time for getting my items to you so they can be included in an upcoming auction? We allocate five to six months lead time to receive items for inclusion in a sale. This allows us the proper amount of time to market, advertise, and create a full-color hardbound catalog for each sale. Yes, all items are fully insured up to the pre-auction low estimate. Once we have the items in our possession, they are insured until the day they transfer to the new owner (auction buyer). Our facility also provides secure, museum-quality glass display cases and custom-built shelving and storage units to ensure the safekeeping of your collectibles. How quickly do you pay your consignors? 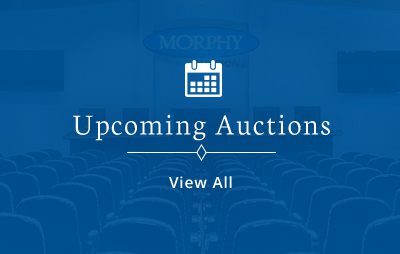 Morphy Auctions prides itself in prompt payment to its consignors. Immediately following the sale, consignors are provided a preliminary statement of the auction results. Final net proceeds and sales records from the auction will be provided on or before the 45th day following the auction. We currently employ approximately 60 staff members. Where do you promote your sales? For each and every auction, we customize a marketing and advertising strategy to assure maximum buyer participation and worldwide exposure for your consignments. For more information, please see our Consignment Process. Do you specialize in selling a particular type of antiques? We specialize in selling “fresh to the market” collections. The majority of items we offer for sale have come out of collections amassed over a period of 30+ years and are new to the auction marketplace. Please see our Divisions page to view our dedicated divisions and our auction history. We have two locations, our corporate location in Denver, Pennsylvania and another location in Las Vegas, Nevada. How many sales do you conduct per year? On average 25 – 30 auctions per year. Who do you use to provide catalog descriptions, condition reports and estimates for your sales? We have our own team of experts encompassing many different categories of antiques and collectibles. When it comes to highly specialized niche categories, we enlist the services of noted authorities whom we consider to have the greatest knowledge and best reputation within their given field in order to ensure accurate and trustworthy appraisals. To who do you send mailers and catalogs? We utilize an extensive mailing list that is categorized by specific collecting interests and updated on a daily basis. This database includes all of the names/addresses we have accumulated from past sales and shows, as well as contacts we have gained through membership in various collector clubs. Is there a preferred time of year in which to sell? We strategically plan our auctions to maximize buyer participation. We have found that if we offer quality items that are fresh to the market and in good condition, the time of year does not influence an auctions success.